Briana aspires to bring joy, passion and healthy vibrant living to others through the healing power of therapeutic massage. She hopes that on the busiest of days, her massage can help others to enjoy the little things in life. Briana has skilled experience in Swedish, hot stone, trigger point, pregnancy, myofascial release, deep tissue, and cupping massage, while promising to provide a customized session to each individual. Briana loves massage and is especially grateful for the flexibility it brings. 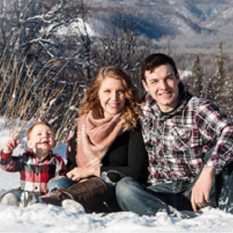 She loves to spend time with her family exploring the beauty of Alaska, and strives to create a homeostasis for her family and others she hopes to work with in the future.